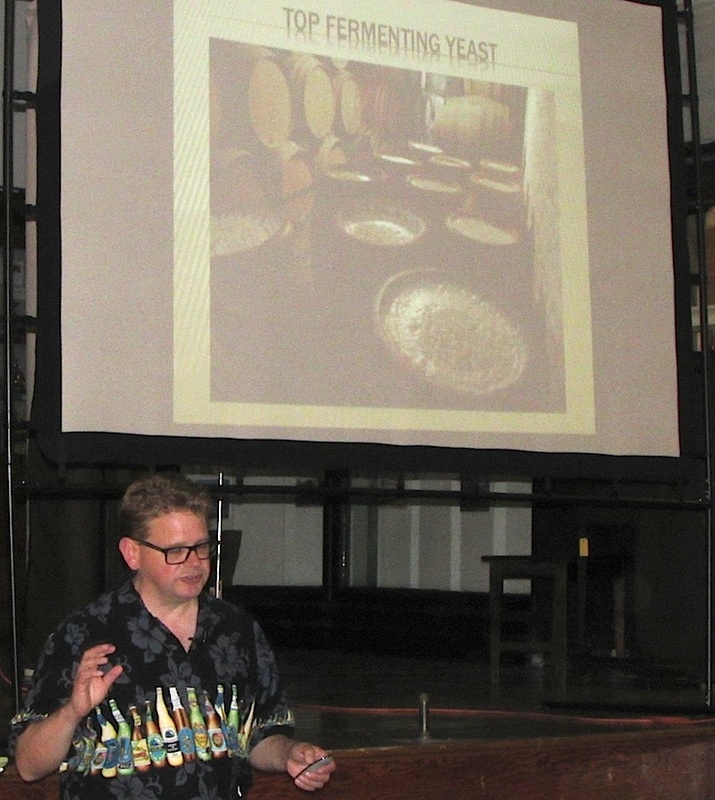 A crowd thirsty for beer knowledge gathered at the museum July 24 to hear home brewer Dave Oberg pontificate about something he knows a lot about: Beer. 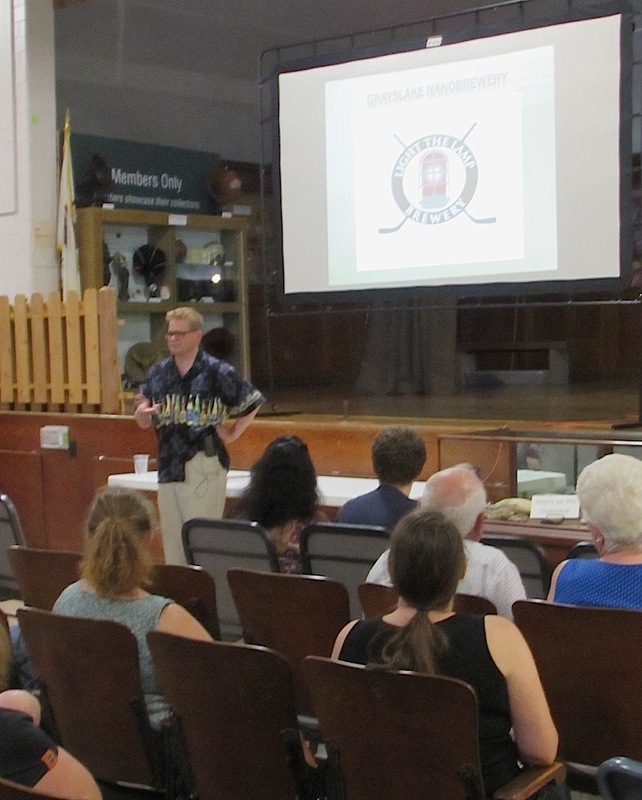 In "A Brief History of Beer," the executive director of the Grayslake Heritage Center & Museum took the audience on a journey detailing the history of brewing and beer. In addition to be popular beverage, beer provided the ancients with a source of potable drinking water, an anti-bacterial and cleansing agent, carbohydrates necessary to fuel their nomadic lifestyles and – eventually – another reason to settle down in one place and begin cultivating crops. The Sumeriens were drinking a beer-like beverage from communal bowls using reed straws some 6,000 years ago. The Phrygians and their king, Midas, brewed a concoction of mead, wine and beer using fermented barley, and the Egypitans built what could be considered antiquity's first brew pubs. "It's pretty important stuff when you are putting it in pharaoh's tomb," Oberg said. According to the Colorado-based Brewers Association, the number of American breweries through November 2015 reached 4,144 – eclipsing the historic high of 4,131 breweries in 1873. And the overall beer market generated nearly $106 billion for the U.S. economy.